Below are pictures of Mark and Andrew between November 27th and 29th along with Gram Gram and John. 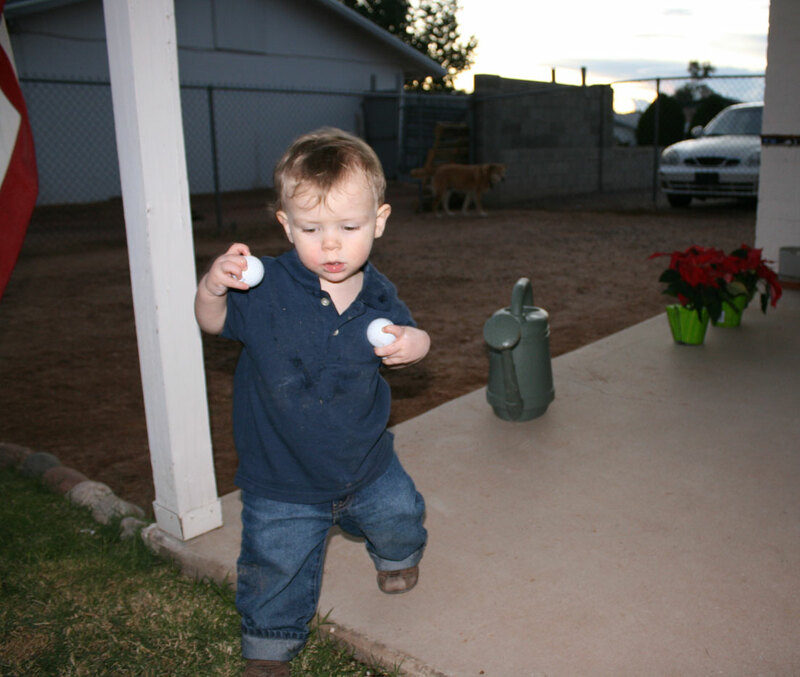 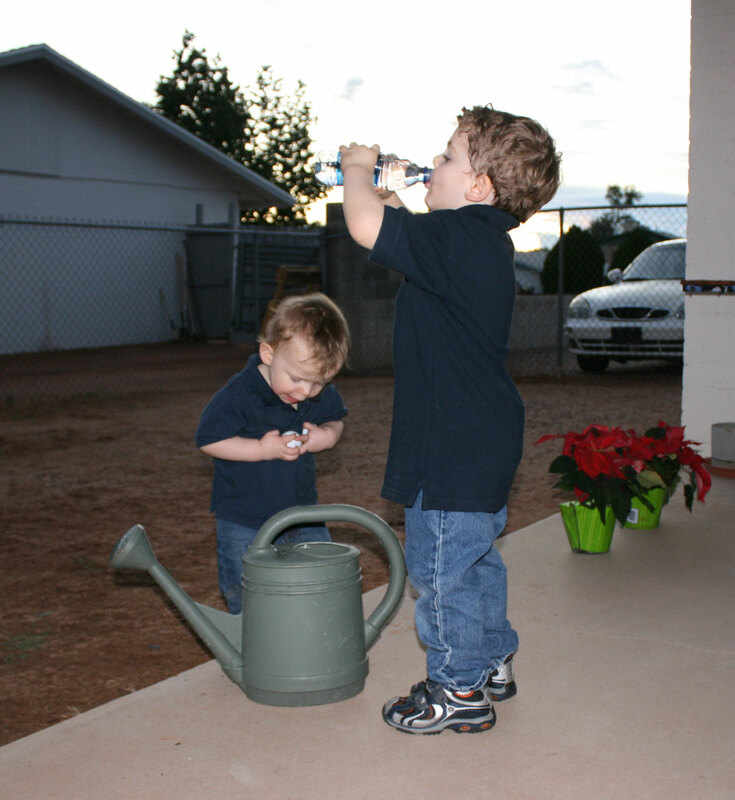 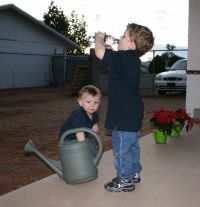 Andrew reaching for a golf ball and Mark drinking water outside at Gram Gram's home on November 27th. 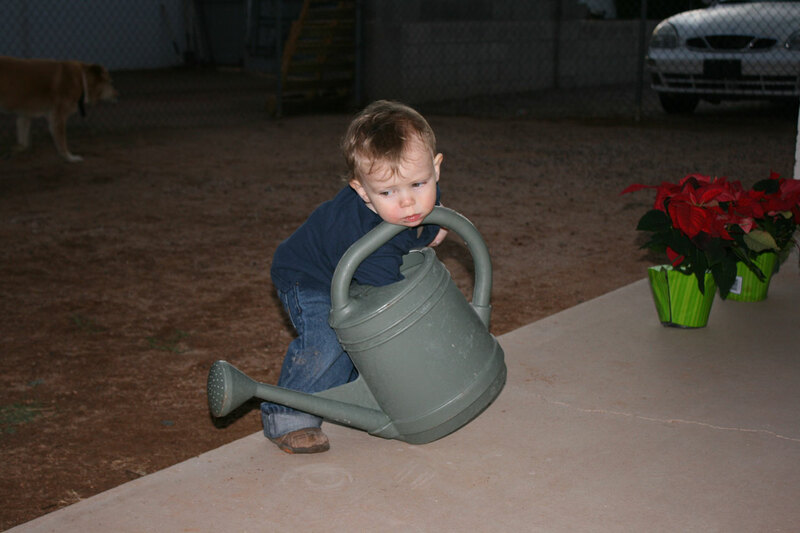 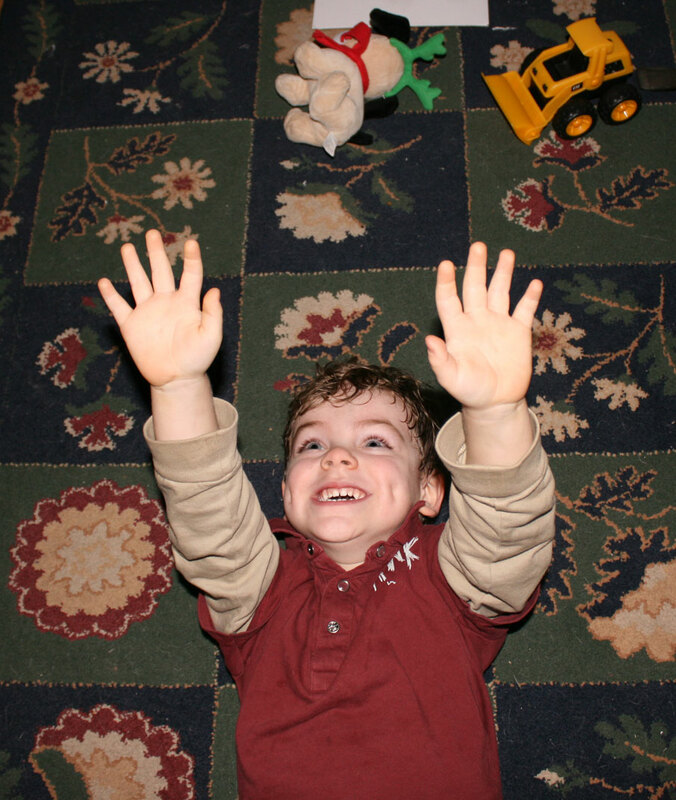 Andrew reaching for then playing with a golf ball in watering bucket. 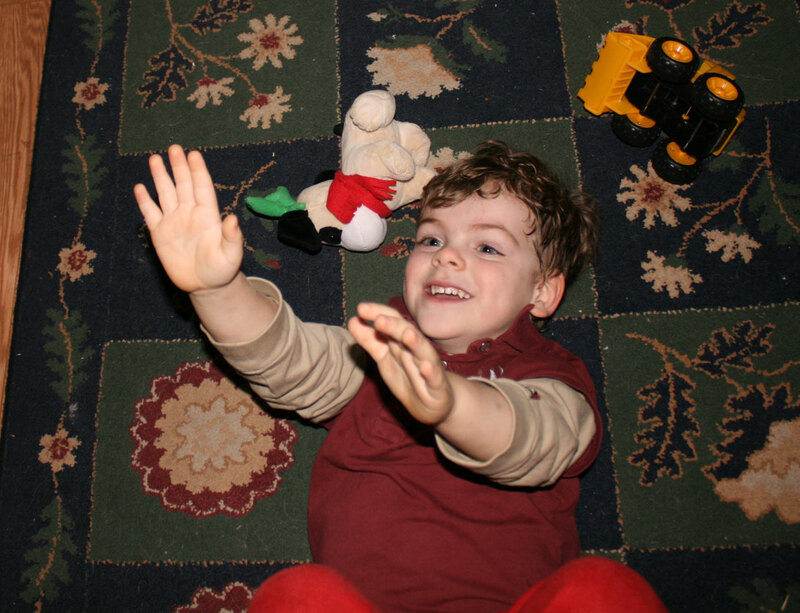 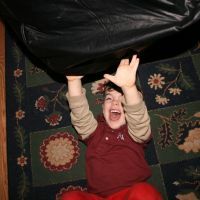 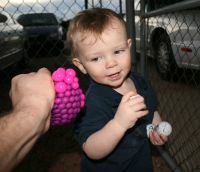 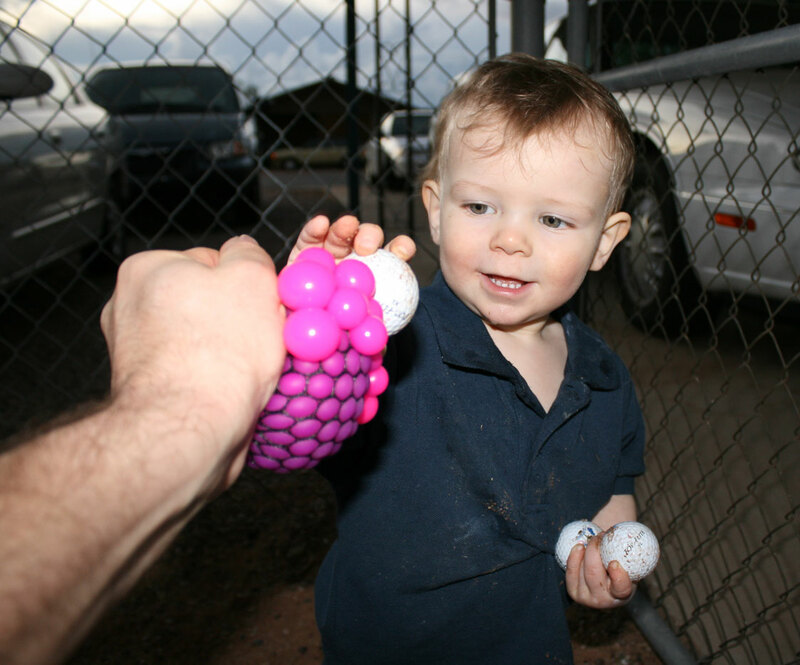 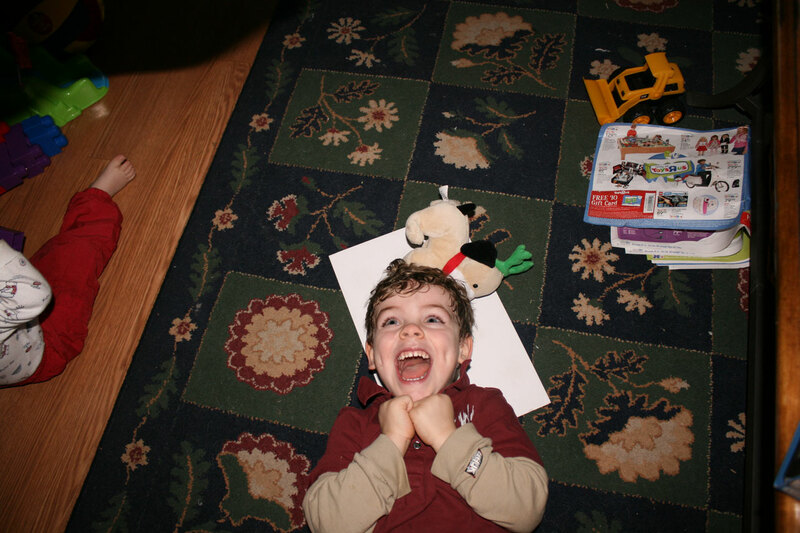 Andrew playing with squishy net toy that John is holding outside at Gram Gram's home on November 27th. 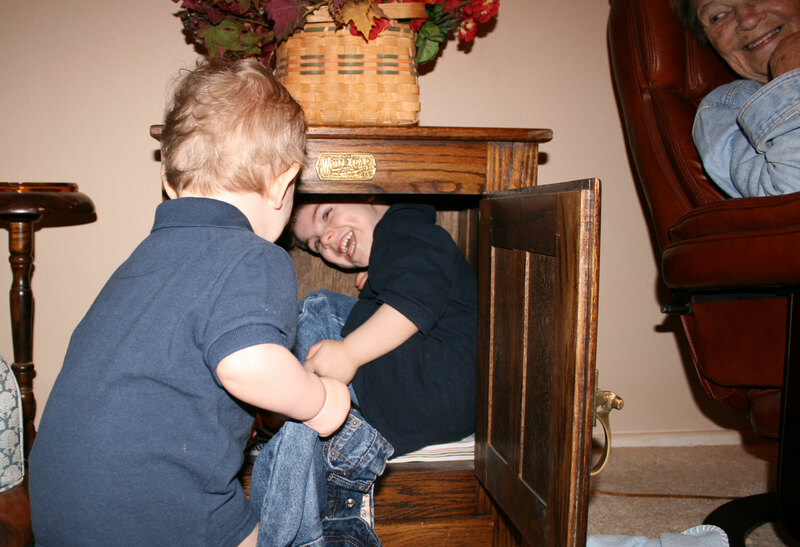 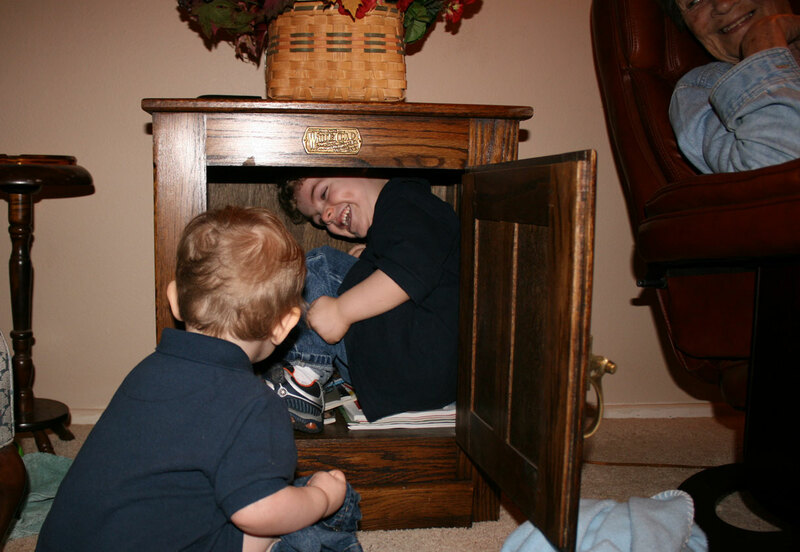 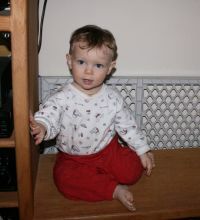 Mark in small cabinet while Andrew and Gram Gram watch on November 27th. 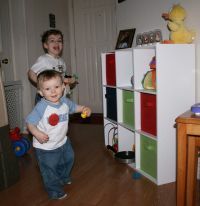 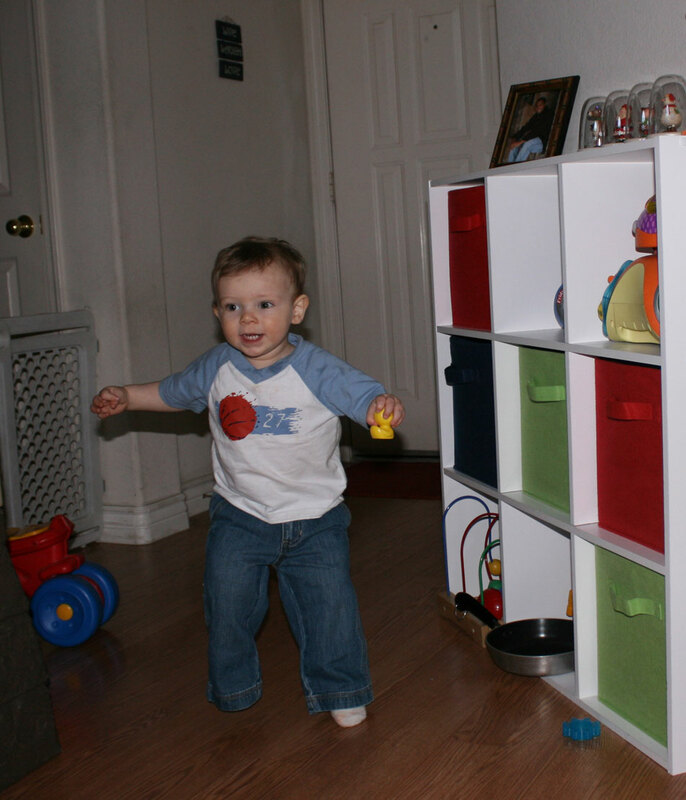 Mark and Andrew playing and dancing in living room listening to happy tappers on November 28th. 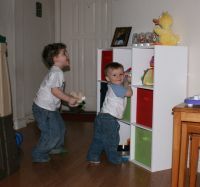 More of Mark and Andrew playing in living room on November 28th. 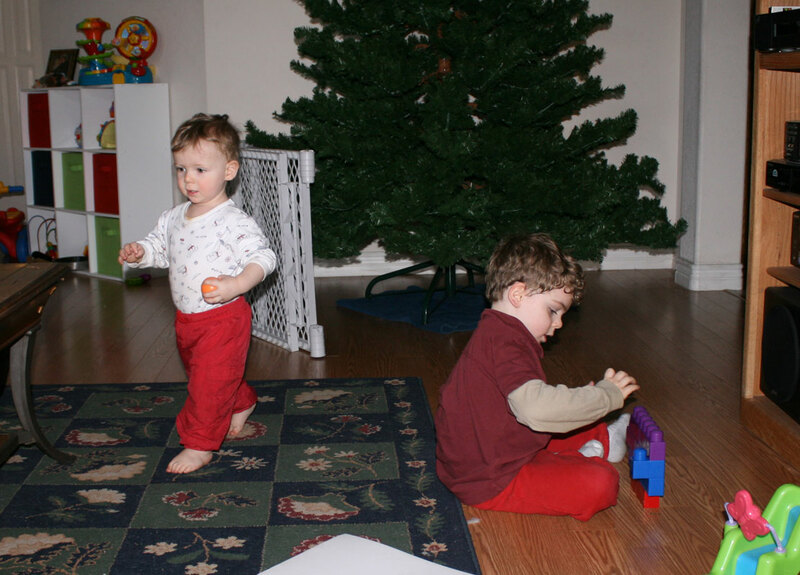 Close-up of musical happy tappers that play Christmas music and tap dance. 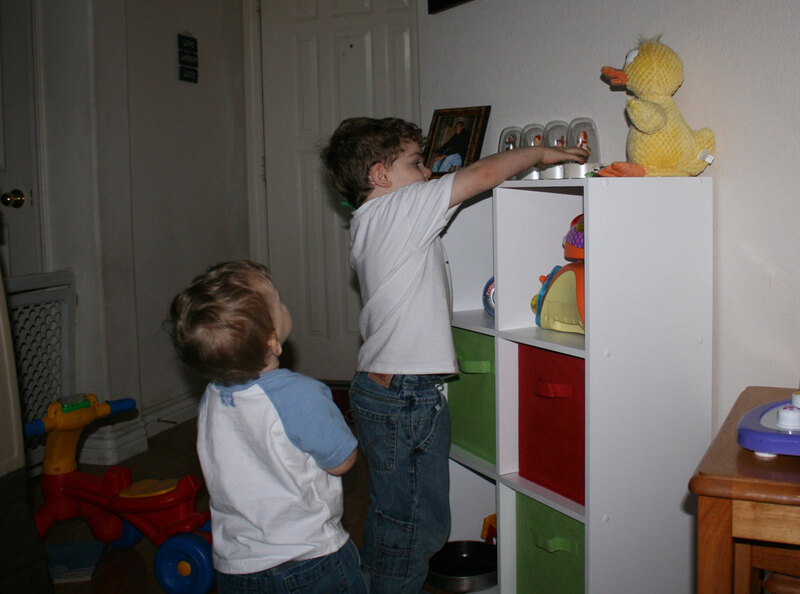 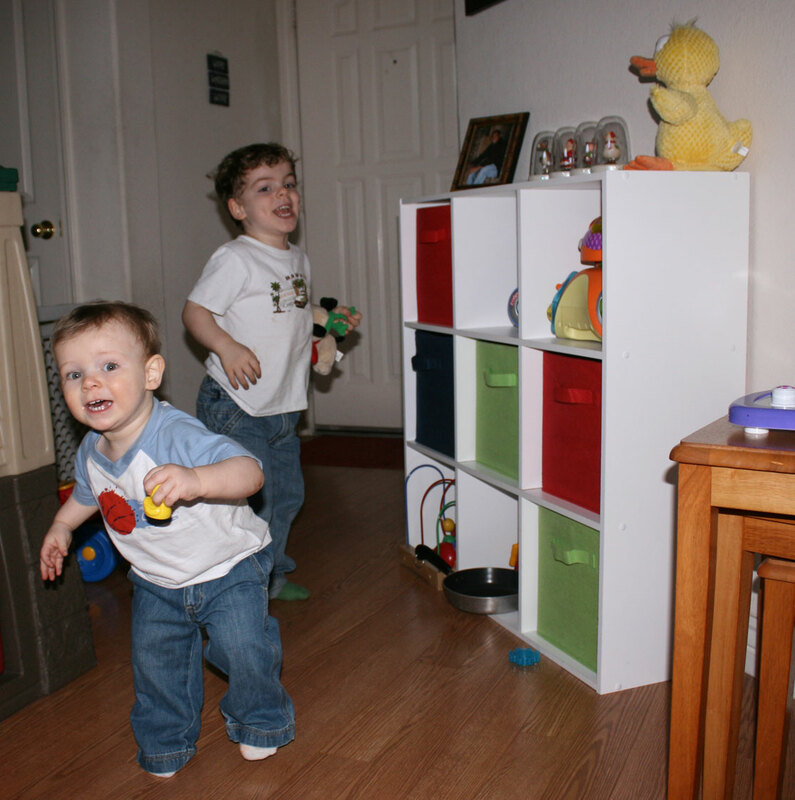 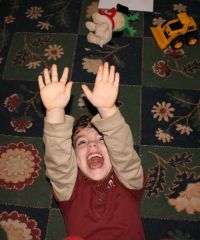 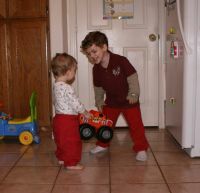 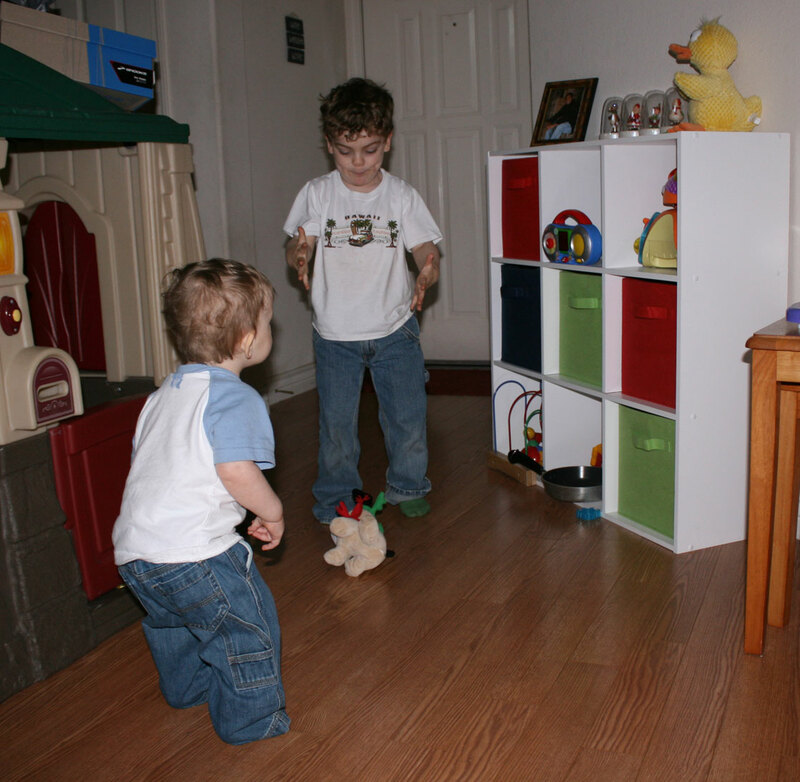 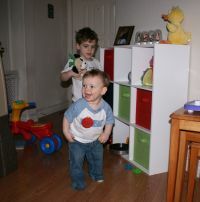 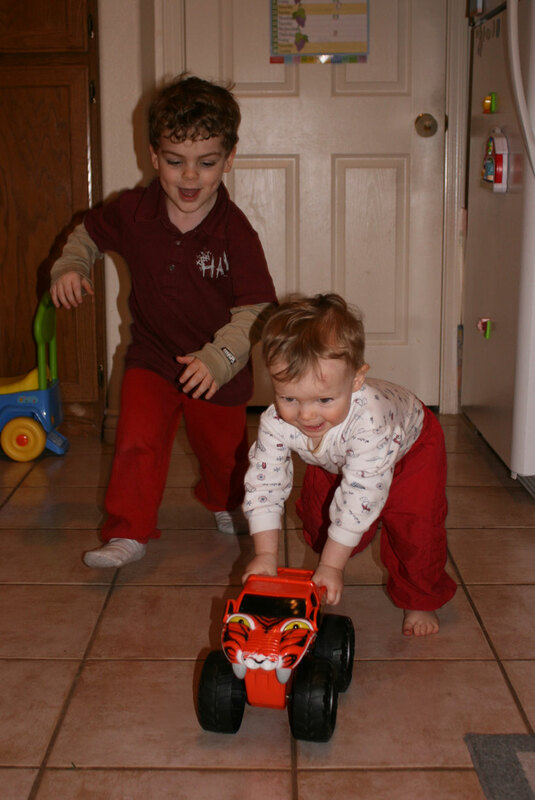 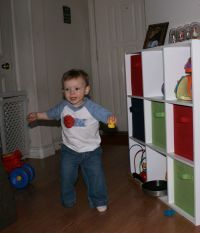 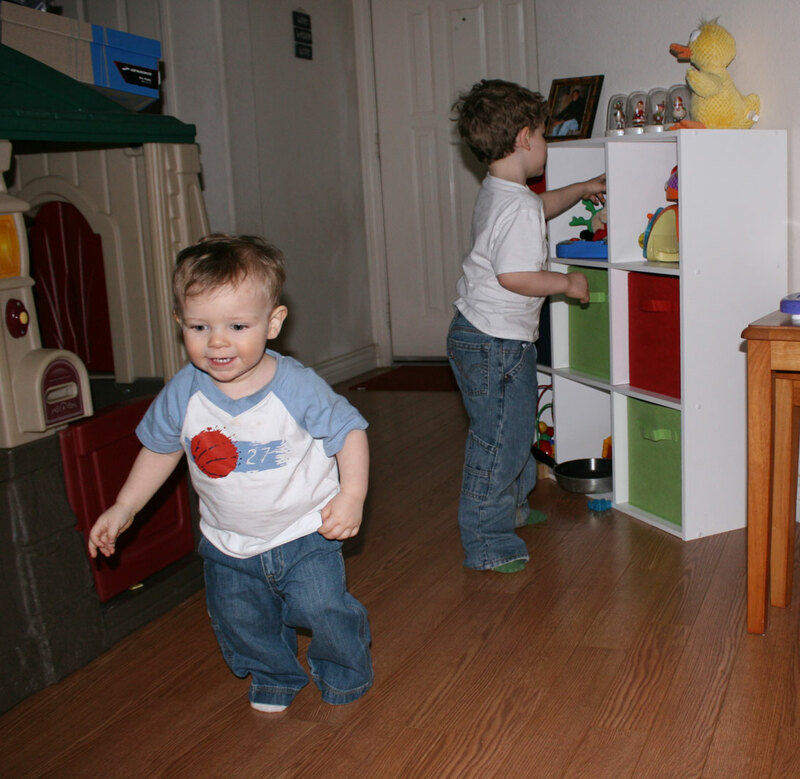 Mark and Andrew dancing and playing in living room while listening to the musical happy tappers on November 28th. 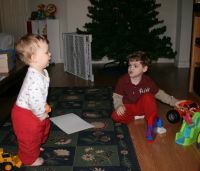 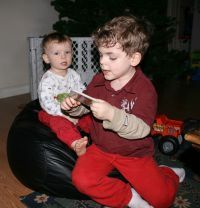 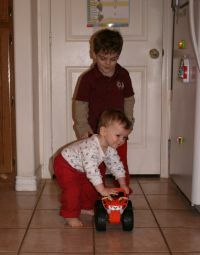 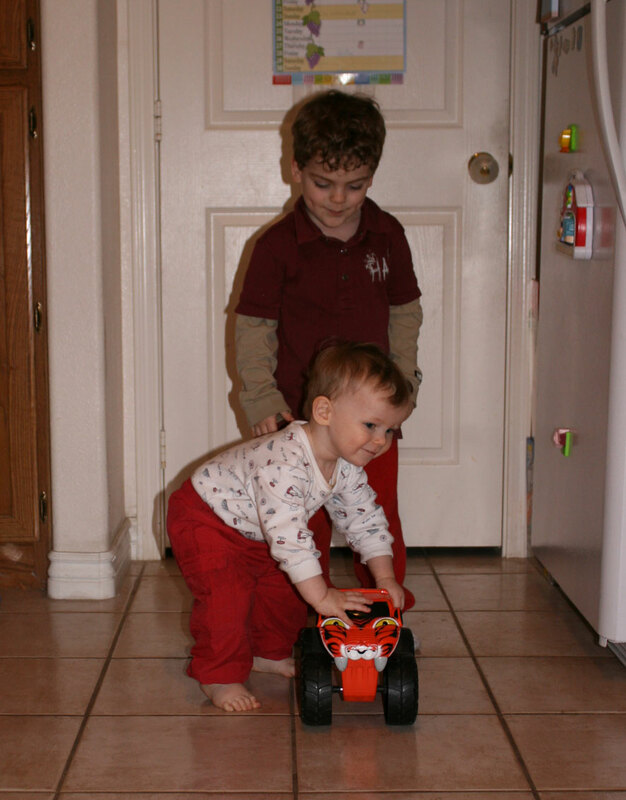 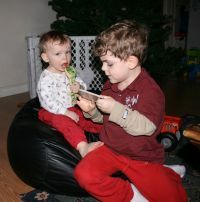 Mark and Andrew playing in living room and our Christmas tree is in background on November 29th. Mark and Andrew playing in the kitchen on November 29th. 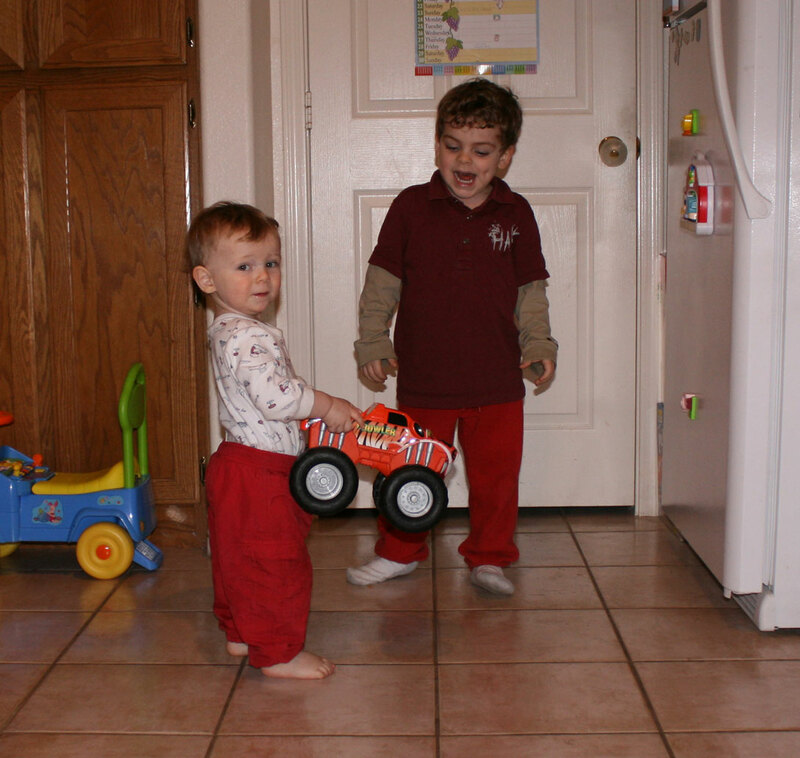 More of Mark and Andrew playing in the kitchen. 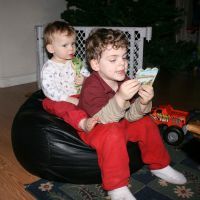 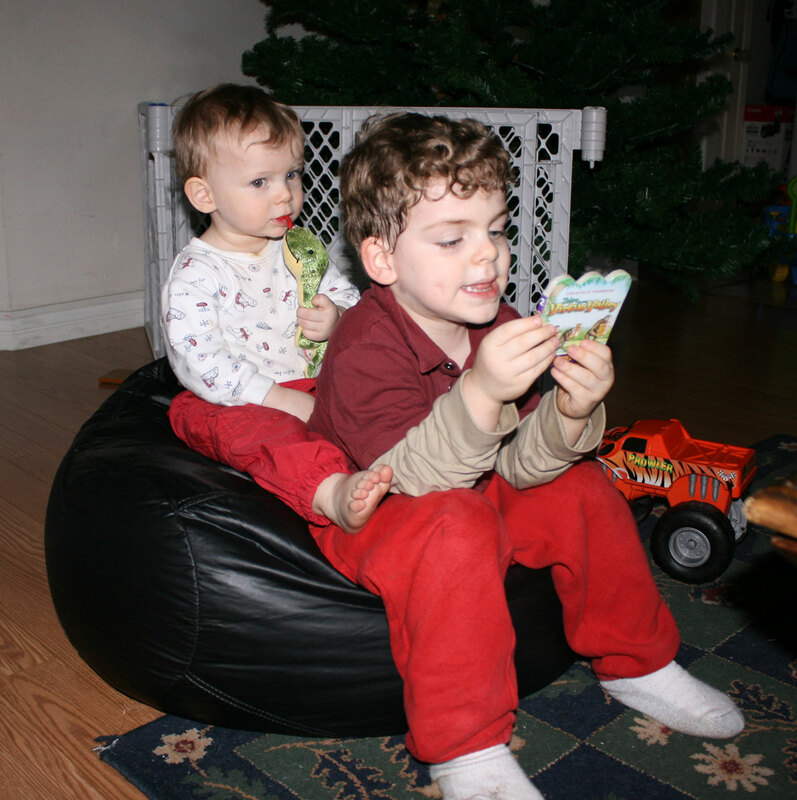 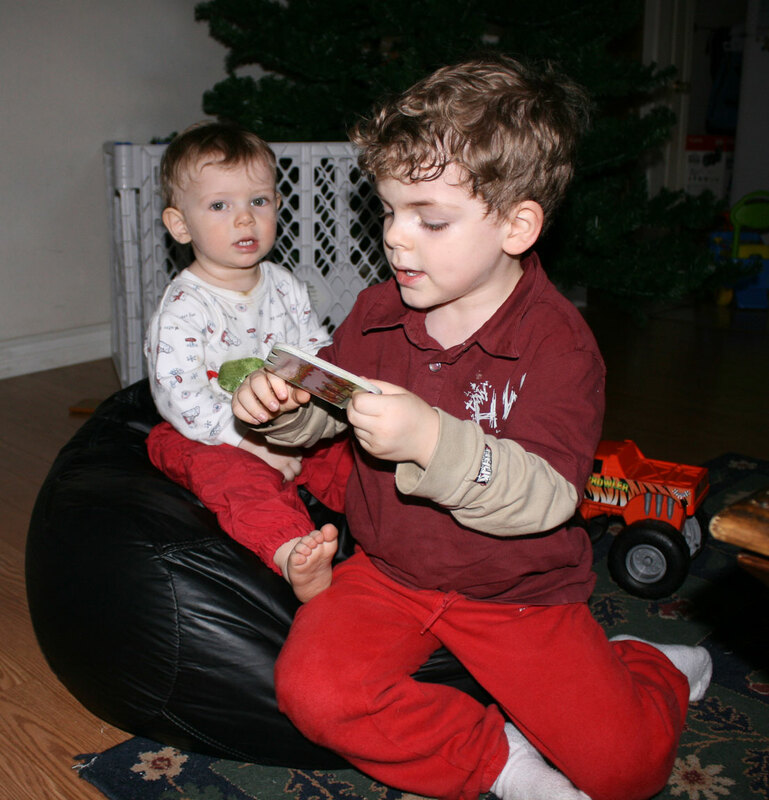 Andrew and Mark on bean-bag chair on November 29th. 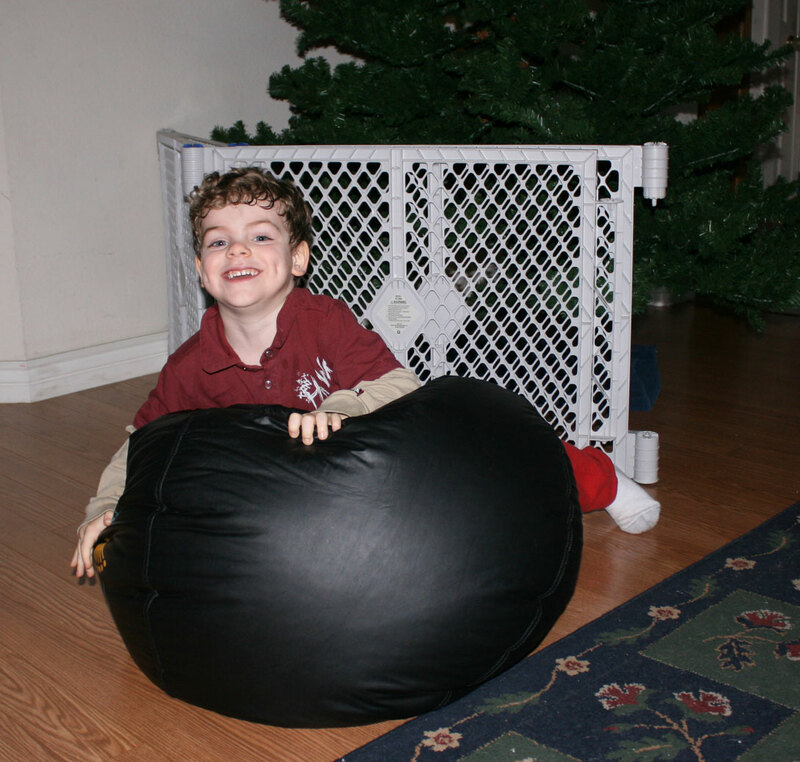 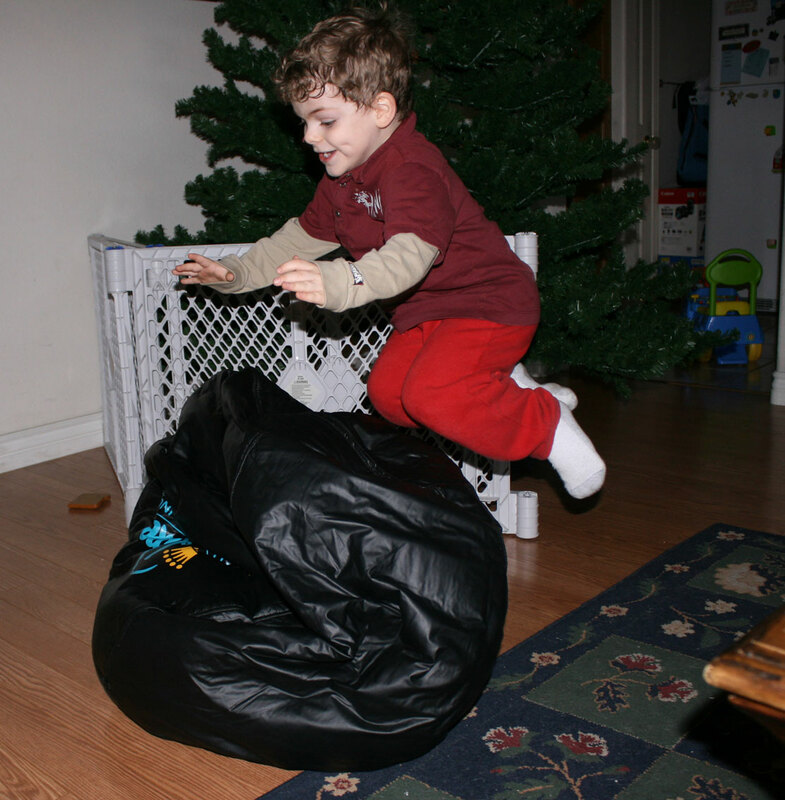 Mark playing and jumping on bean-bag chair. 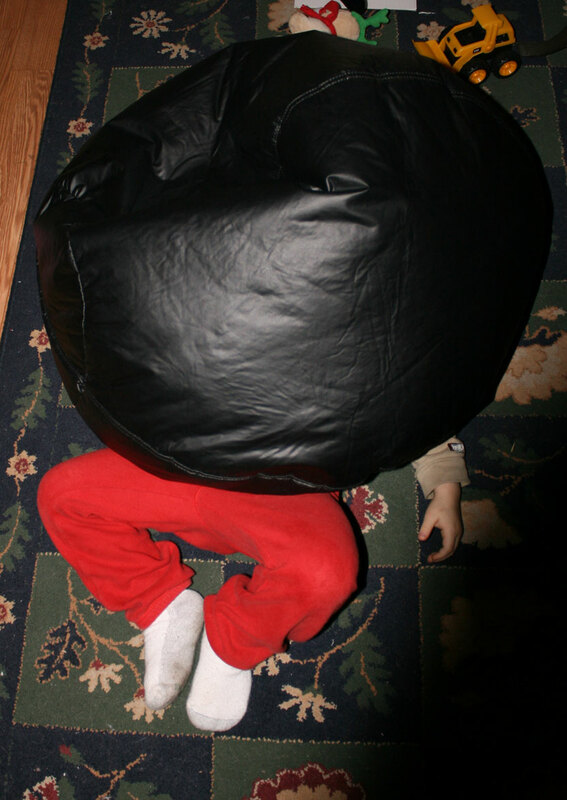 Mark after jumping on bean-bag chair. Mark looking at bean-bag chair that John is about to drop on him. 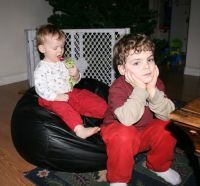 Andrew in entertainment center watching John and Mark play with the bean-bag chair. Mark with bean-bag chair on top of him. 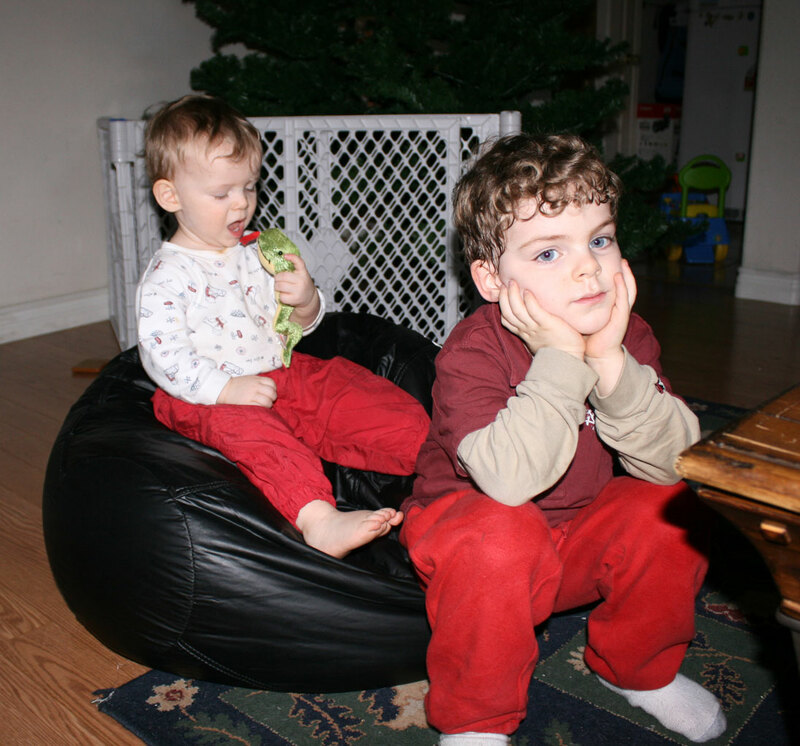 Mark looking at bean-bag chair John is about to drop on Mark again on November 29th. 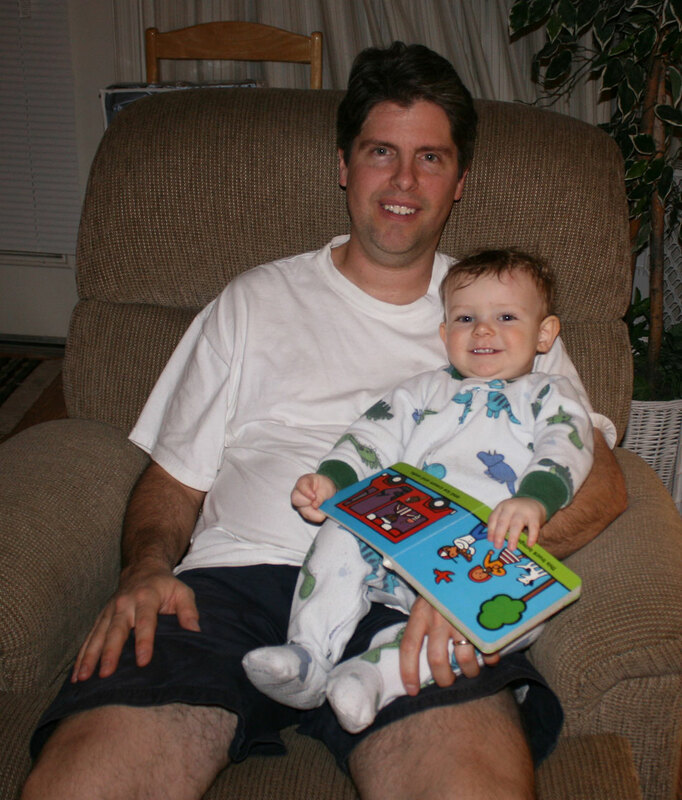 John sitting on the recliner with Andrew later in the evening. 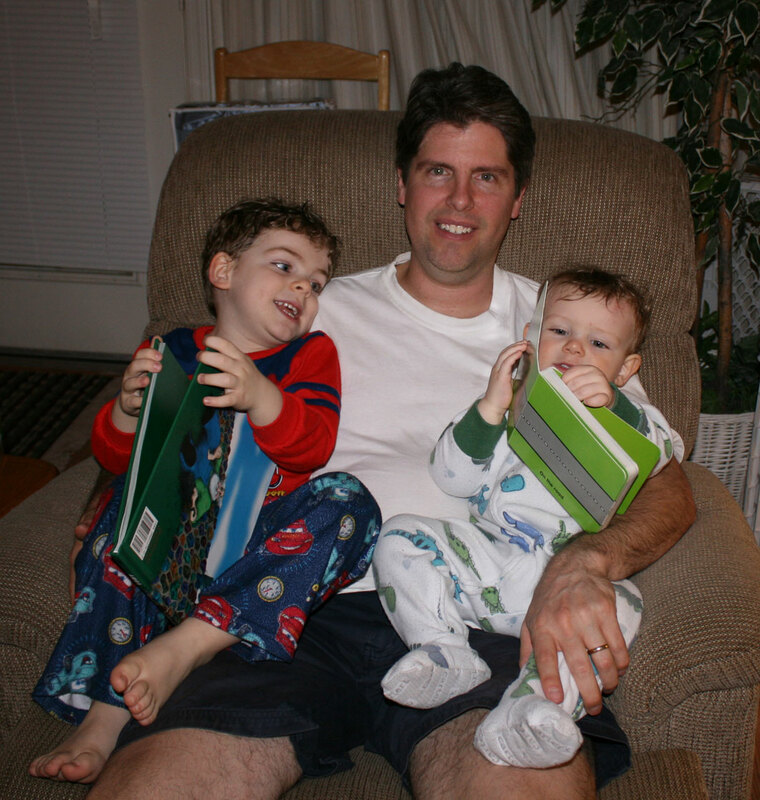 John sitting with Mark and Andrew later in the evening. 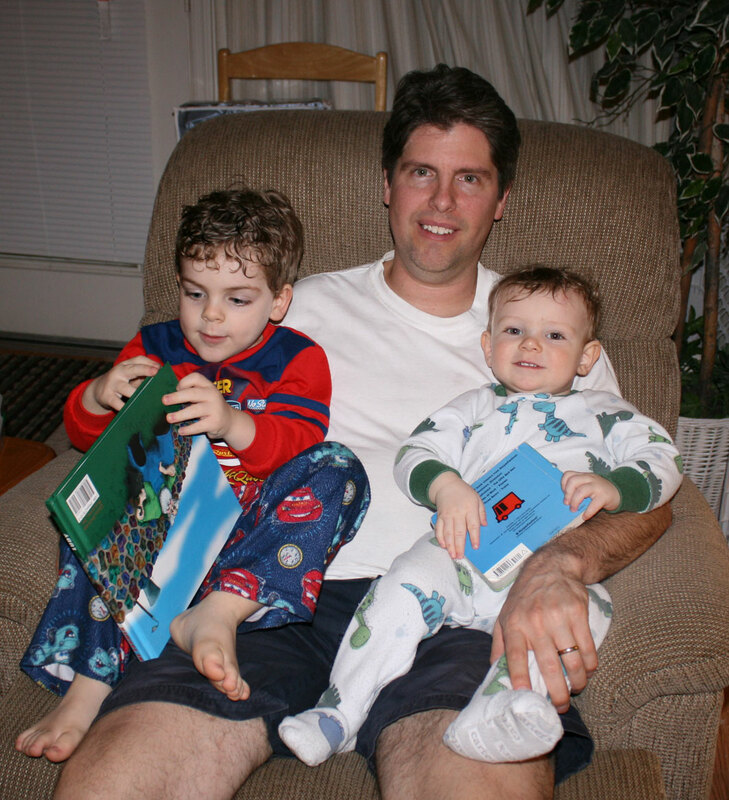 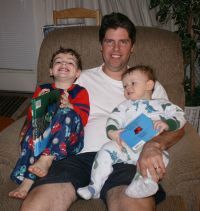 More of John sitting with Mark and Andrew on the recliner on November 29th. This page was last saved on Saturday, February 7th, 2009.